Get Instant Cash Up To $7000 For Old, Rusted Cars! Ready to get that old rusted car sold? Metro Car Removal buys cars of every possible condition. We don’t need vehicle to be registered, running, or in sparkling condition. We buy scrap cars and used cars in any condition. We aren’t a third party buyer. We’re a reputable unwanted car removal service that works on 24/7 basis buying trucks, SUVs, cars, vans, 4x4s, utes, and bikes of every condition. The process to sell your junk couldn’t get easier, we make you a firm offer. You will then have t decide if you want to take up our offer or not. If you decide to go ahead, we will immediately schedule free unwanted car removal. Provide us details on the model, make, age and condition of your vehicle. All our team to determine the actual value of your vehicle and make you a firm offer. Have your vehicle parked in the area where we can inspect it. Also keep your title of ownership ready. We are the unwanted car removal service that makes selling your vehicle easy and fast and we promise that we will never let you down when it comes to making an offer that’s of good value. Our unwanted car removal process is easy and fast. We operate through our collection depots that span Sydney wide. As soon as you get in touch with your representatives, we will work out suitable ways to pay and remove your unwanted junk. Once you accept our offer, we will depute a team that will arrive at your place at the time most convenient to you. This will help you earn top dollar for your junk cars, utes, vans, trucks, 4x4s and 4wds. You won’t have to pay any towing fee as this service is free. Usually cars we purchase are the ones that are no longer roadworthy and their repairs are just too expensive. So if you don’t want to continue paying huge amount as road tax, best way to go is to simply scrap it. When Is The Best Time To Get Rid OF your Junk Car? Once you decide to call our team for unwanted car removal, it automatically means you’ve chosen the most reputable rusted car removal service for the job. With us, you will get speedy same day service and we can reach your place with a tow truck within hours. Another benefit of choosing us is that we reach on time chosen by you. We can even come on weekends and offer most reliable removals. Surely, there’s none better than us. Everything is HASSLE FREE and REALLY FAST!!! 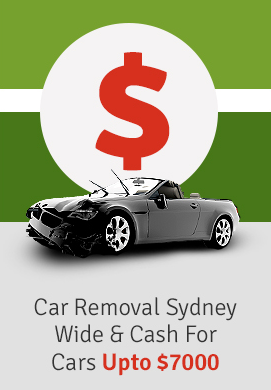 With “ Metro Car Removal” the entire unwanted car removal process might take just few hours! Isn’t that great? Our service can help you by towing away your scrap at best ever price. Quickly call us for a completely free no obligation quote and swap car for cash. Many unwanted car removal companies have so many hidden gotchas. Even small fees add up an make selling your old car to them much less profitable. We don’t do that. There are no fees-no admin fee, no towing fee, nothing at all. We just want to purchase your car for a great price with no fuss at all. With no hidden costs, our buying process is fast. charges. We try to make the unwanted car removal process as simple as we can. Contact us today for a completely free no-obligation unwanted car removal quote!